They are all available from SheetMusicPlus, along with You've got a friend (the first Carole King song I arranged) and lots of other stuff. Two of my pieces are due to be played in December, both in the USA. The first is for sax and harp. It's called SWARM, and The Admiral Launch Duo will be playing it at Bezanson Recital Hall in Amherst, Massachusetts. I have shared the event on Facebook. The other piece is a setting of a winter poem by Emily Brontë, Fall, Leaves, Fall. It is for for two singers, viola and piano, and Contemporary Columbus will perform it at 7pm on Sunday, 17 December at Wild Goose Creative in Columbus, Ohio. This is the inaugural concert of Contemporary Columbus. Brontë's poem is given below. The Future Blend Project has chosen one of my pieces for a concert in Warwick in January. It is called Koto, and it's for solo harp. The great thing about this project is that I get to work with the harpist Camilla Pay to develop the piece before the concert. I am looking forward to that. 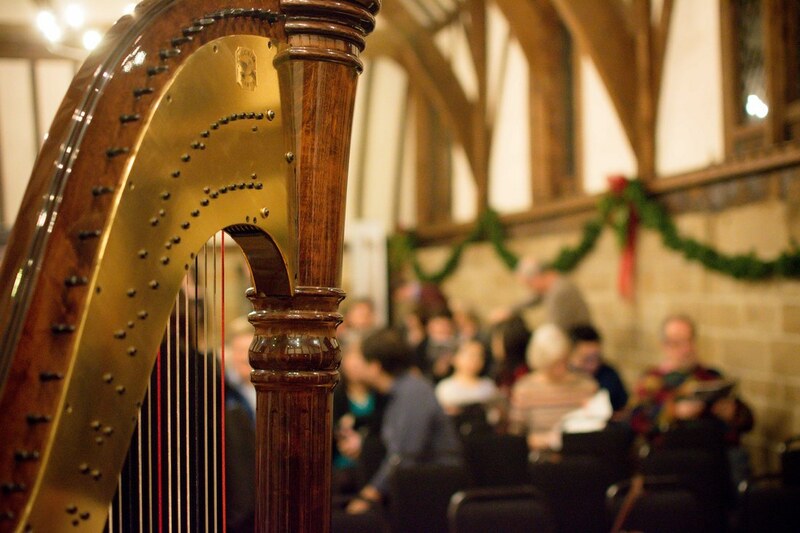 Details of the concert are: 5:30 6th January 2018 at Lord Leycester Hospital, 60 High Street, Warwick. Tickets will be available in November 2017. The Future Blend Project is on Facebook. The London Contemporary Chamber Orchestra is playing my piece Noah on the 30th September at St George the Martyr in Borough High Street. This is another work inspired by Prières dans l'arche by Carmen Bernos de Gasztold. 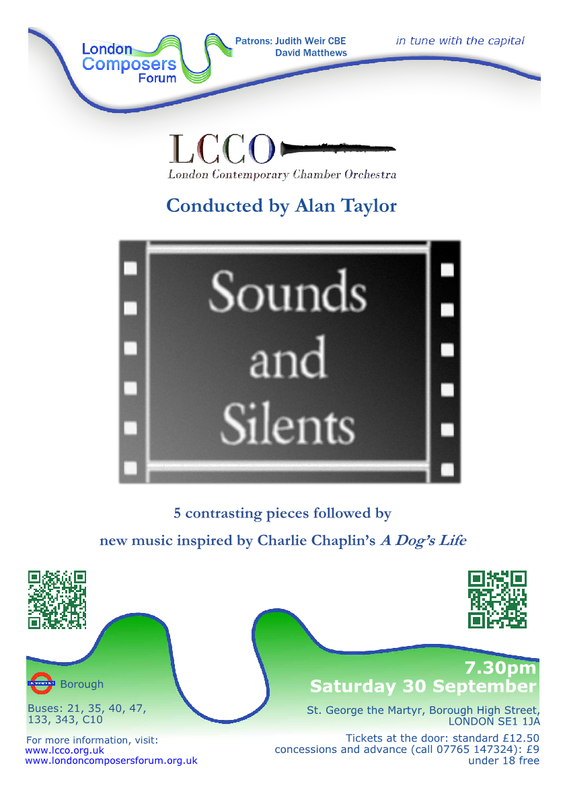 The LCCO played the piece in a workshop earlier in the year, and they were very good. I am looking forward to the concert! The Century College Concert Band is playing Rosetta Fanfare at the 2017 BandWidth Music Festival in Saint Paul, Minnesota, USA. It will be at the Landmark Center in Saint Paul on Sunday 30 April 2017. 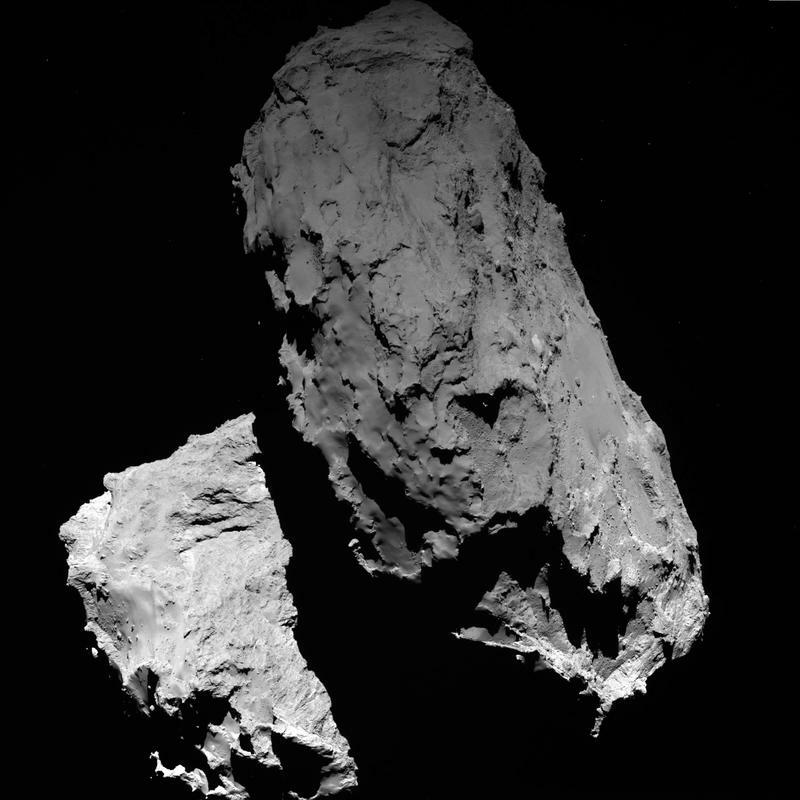 As I was writing a short, thirty-second fanfare for trumpet and piano, the Rosetta space probe launched by the European Space Agency was approaching comet 67P/Churyumov–Gerasimenko. Later in 2016, as I expanded that short fanfare as a work for wind band, the Rosetta mission came to an end when the space probe was crashed into the comet. It seemed appropriate to name the new work Rosetta Fanfare. ﻿I have at last put the score and parts of the Concerto semplice by Mozart (and Grieg and me) on Sheet Music Plus. You can hear excerpts on Sheet Music Plus, and I have updated the sound flies on my earlier post to correspond with the published score. As I said before, we should probably not be too concerned for Mozart, as he 'did arrangement' to several works by Bach and Handel. Let's hope Grieg would not be upset by the silly picture opposite! At the end of last month I said I might make an arrangement of Vincent (Starry, Starry Night) by Don McLean. It is for string quartet again (as was American Pie). The score, parts and an audio except are all here on sheetmusicplus. 'Starry, Starry Night' refers to Vincent van Gogh's painting The Starry Night (below). The whole song was created on the 100th anniversary of the midpoint of Van Gogh's life. Happy 100th Birthday Mr Douglas! ... another arrangement - is it Mozart or is it Grieg? I was listening to the radio and heard Mozart's piano sonata in C (Sonata facile or Sonata semplice, No 16) with the second piano part written by Grieg. The result is not exactly Mozart, but interesting. I thought that if I arranged Grieg's second piano for orchestra, that would make a new piano concerto by Mozart (sort of). As a student Grieg listened to a lot of Mozart’s music, and spent the winter of 1876/7 arranging four of Mozart’s nineteen piano sonatas for two pianos by adding his own, newly composed second piano part. He didn't change the original Mozart sonatas, he just added to them. When I get round to it, I will publish the score, but you can hear rough mock-ups of the Concerto semplice by clicking on the pictures below. ... not by me. I have arranged American Pie by Don McLean - just because I can (used by permission), and I want to practice writing for quartet. The score is here, with a short 30s sound file. I might try Vincent next. It's been some time since I updated this blog, but I want to share a video of a great performance by Keisuke Arima, Kosuke Hashizume and Keizo Ishibashi of my piece, Prière de la fourmi (Prayer of the Ant). It was selected for Les Pois Music Office call for scores 2016. The premiere was at Kyoto Art Center in Japan on 8 September 2016. Kosuke is preparing the score for publication soon.